The TC Electronic Hall of Fame Mini may be small in stature but by no means is it small in sound! When using the TC Electronic Hall of Fame Mini, upload your favourite TonePrint from your favourite artist or create your own and turn it up!!! The simple one-control stomp box works in conjunction with TC Electronics' TonePrint system, allowing players to load a huge number of different reverbs from the TonePrint app. 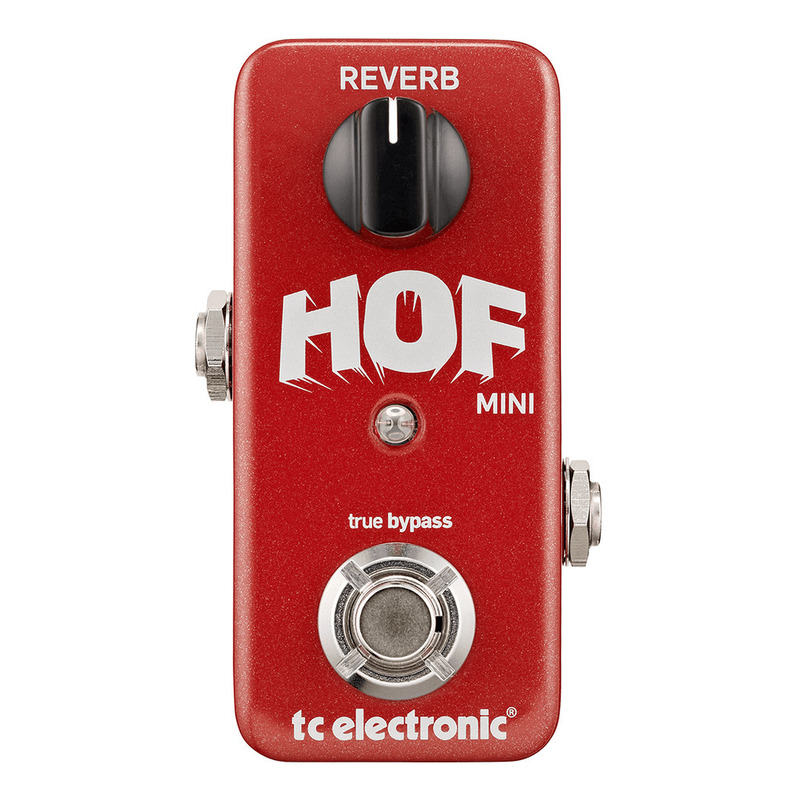 Hall Of Fame Mini’s default sound is TC Electronic’s famous Hall Reverb, but from there any of the tones of its big brother Hall Of Fame Reverb can be loaded quickly and easily via the TonePrint App for iPhone. Any reverb sound you need, from spring, room, plate, cathedral and all the signature artist reverb TonePrints are waiting for you in the TonePrint App for an unparalleled reverb experience. On top of all this, Hall Of Fame Mini sports all the killer features guitarists have come to expect from TC Electronic: an ultra-small footprint, true bypass and an Analog-Dry-Through design which means no conversion of the dry signal for absolute tonal transparency and zero latency.